Let’s be real. We’re talking about two levels of football here. Is Central Florida a good football team? Absolutely. They went undefeated in 12 games of FBS football competition. Can they beat a team like Auburn? Sure. Anything can happen, especially in a bowl game. But there’s a reason they have split the Power 5 and the Group of 5. Teams from the AAC, the MAC, the SunBelt, the MWC, and C-USA can’t compete. It’s a different level of football. Yes, there’s always one team that rises up and hangs with the big boys. For a decade, that was Boise State. This year, it’s Central Florida. The Knights are undefeated, as I said, which has gotten them to #12 ranking in the CFB Playoff Rankings. And there’s the point. They are seen as the 12th best team in football and they haven’t lost a game. They are the only team to not lose a game, and there are currently 11 teams ahead of them. As I’ve heard the typical pregame hype of the little guy that can knock off the big guy, I can only be reminded of the 2015 Birmingham Bowl. Auburn limped into that game with a 6-6 record, just good enough to go to Birmingham. They were facing the AAC Champion Memphis Tigers with a 9-3 record, which tells you a lot right there. Memphis was led by future 1st-round draft pick Paxton Lynch, and they were supposed to come in and score points all over Auburn. I was at that game, and it looked like a typical non-conference game against a Group of 5 opponent. The Memphis offense scored 3 points. Jeremy Johnson and Sean White combined for 31 points. It was like an early September tune-up game. I do believe this year’s Central Florida team is better than that Memphis team from 2015. But this Auburn team is miles ahead of that 2015 team. They have a quarterback. They have the best running back in the SEC back and healthy. They have one of the nation’s top defenses. But in terms of comparison to Central Florida, they have size, they have speed, and they have talent. There’s a reason Auburn’s football players are at Auburn. There’s a reason Central Florida’s football players are at Central Florida. That doesn’t change just because one team beat all the other teams at their level. Loachapoka High School could win every game for 10 years straight, and they’d still get run out of the stadium by Hoover. It’s just different. But as I said, anything can happen in a bowl game. It’s all about who wants to be there. Does Auburn want to be in Atlanta? It’s not that big of a destination to them. To Central Florida, it’s the Super Bowl. But then Central Florida had to run their mouths. 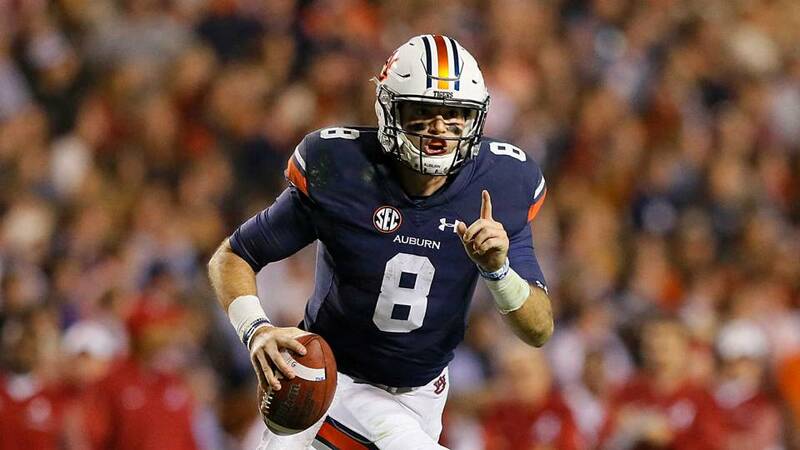 I could see Auburn being a little let down by the destination and by the opponent, but a few of the Knights have given Auburn a little more reason to show them the difference in playing in the SEC and playing in the AAC. The venue will be a huge factor in this game. A month ago, Central Florida was needing double overtime to beat Memphis (while giving up 753 yards) for their conference title in their own stadium. Auburn was playing in the SEC Championship Game in the same place they’ll play this bowl. Central Florida hasn’t seen this type of atmosphere. Auburn plays in this atmosphere nearly every week and played in this exact stadium in their last game. That’s a huge deal. As long as Auburn doesn’t give Central Florida a reason to believe after the first few drives of the game, this one shouldn’t be close. Head coach Scott Frost is on his way out, so that distraction will be there, but that will also give him a reason to throw it all out there. The Knights will have to do that to stay in it anyway. Weathering the little guy’s excitement for a quarter will be the key. Auburn will score quick and often to take a 17-point lead. UCF will score on a fluky play before halftime to give the their fans a reason to have a good break in the action. Kerryon will score three touchdowns. Jarrett will rush for one and throw for two. The 2nd half will be a slow display of the difference in the level of football. Auburn won’t take this game lightly. It has nothing to do with the opponent. They have the chance to win an 11th game, something that Auburn hasn’t done too many times. They have the chance to ruin another team’s undefeated season. They have a slight chance in finishing the season ranked in the Top 5. This game means a lot to Auburn for Auburn. Central Florida is one more little speed bump they have to hop over to finish this season off on a very high note.